APRIL 10--2019 Update- Spring is one of the best times to to explore Lexington as it cranks up in all its glory. The weather is very comfortable for doing all things outdoors, the sights and sounds along our streams and in our mountains are hard to beat. Wildlife sighting, wild flowers, awesome vista and waterfall hikes are all part of what makes Nature so great at this time of year. 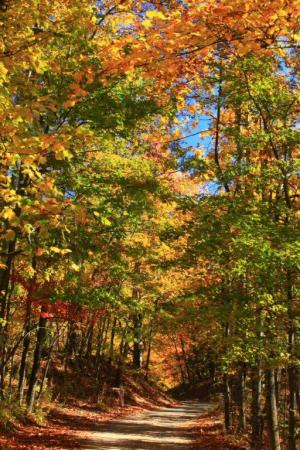 .We have lots of hiking ideas for you this month, from Rails to Trail, waterfall, streamside , the AT and vista. Please contact us to plan your stay . Outstanding Introduction to Fly fishing Trips Now along with Trips for the more experienced types. We offer these daily, reservations are required. We have them available on Sundays which are great times for those pressed to get out during the week. My sister and I spent a week at Llewellyn Lodge to relax and enjoy some trout fishing. John was a wonderful host fixing us a great breakfast every morning followed by a fantastic day fishing. The accommodations were very comfortable and clean. Aprill 10- , 2019- Waterfall and streamside hiking is highly recommendeded now due to the outstanding water flows from all the rain we have recently received. Vista hikes are also most enjoyable at this time, please contact me directly for specific ideas. Our guided flyfishing trips www.vatrout.com are highly recommended this month weather permitting . A great little walking experience starting from the Lodge front door that our guests guests all love is the little Woods Creek Trail Trail Loop in town which follows a dandy little stream, Start from the Lodge and do either 3.5 or 5 miles without leaving the town. Enjoy both VMI and W&L campuses as well wildlife along the way. 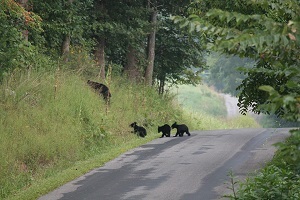 The Chessie Trails to trails 5 minutes drive from the Lodge is a down and back trail which follows the very scenic Maury River- wildlife viewing is usually great. 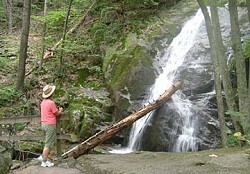 We have several more loop hikes that include portions of the Appalachian Trail. Cold- Mountain Old Hotel trail is one of the best trails in Va- 5.75 long in the George Washington National Forest -loop which includes 2 miles on the Appachian Trail- `1400' elevation change to summit at 4050' The breathtaking 360 deg view is awesome. We have plenty more in our hiking book. Crabtree Falls have 1700' of cascading waderfalls to enjoy, There are many other scenic trails to consider as well including many that follow streams in the National Forests very close to the Lodge. Crabtree Falls- Highest cascade of Falls E. of the Mississippi -scenic dive up the Blue Ridge Parkway to get there- can access the Appalachian Trail also-good workout. Roaring Run Day Use National Forest Area- Features a nice little.6 mile walk up a high energy mountain trout stream to a set of 30' falls. Great for wildflower study, the fast water will energize you for sure. Hidden Valley Trail- Easy hike in Bath County- National Forest hike up the Jackson River- lots of wildflowers and wild game- trout fishing. Enjoy the historic Warm Springs Pools on te way back as you take the healing waters in structures that back into the 1700's. 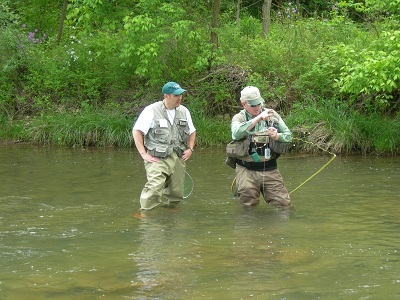 Guided Fly fishing trips on A Virginia Trout Stream Create Lifetime Memories. JAMARCH is a GREAT MONTH TO LEARN TO FLYFISH and our INTRO Trip For Beginners is the Best in the state. Check out the trips on www.vatrout.com. Sporting Clays- Quail Ridge Shooting Clays are 8 minutes away. Learn to shoot clays also this month from the expert Andy Tubb at The Glorious Twelfth www.theglorioustwelfth.com - great 1 on 1 instruction from Andy who has 25 years coaching experience. 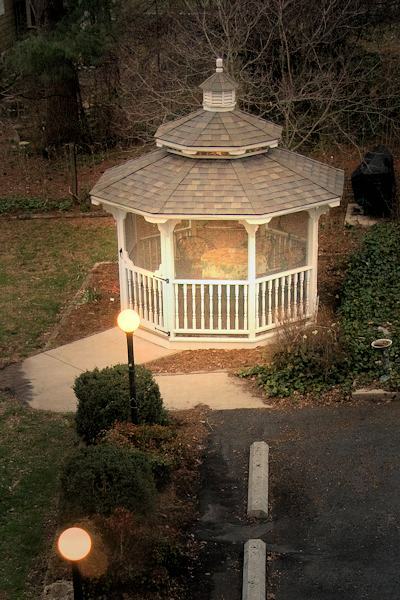 Two nice golf courses are closeby, we can get you on the private very scenic Lexington Golf and Country Club 3 minutes to the first tee box. The public Vista Links course is only 10 minutes from the Lodge. January and February always have a few golfing days. Twin Rivers Canoe Livery in Buchanan 20 minutes down the road has some terrific canoe and kayak trips this month. The James River has year round water for canoeing. Enjoy an outstanding trail ride with expert Deborah Sensabaugh at Virginia Mountain Outfitters which is only 15 minutes away. 2,180 - Total mileage of the AT between Springer Mountain, in north Georgia, to Mount Katahdin, in central Maine. 15 - Years it took volunteers to complete the AT. 31 - Number of hiking clubs that volunteer to maintain the AT from Maine to Georgia. 250 - Approximate number of overnight shelters along the length of the AT. 5 million - Number of footsteps it takes to hike the length of AT. 500-600 - Average number of thru-hikers who complete the entire trek each year. 2,300 - Estimated number of thru-hikers who started northbound on the AT in the spring of 2012. 28 - Percentage of hikers each year who set out to thru-hike the AT and succeed. 5-7 - Average number of months it takes to complete the entire AT. 79 - Earl Shaffer's age when he completed the AT for the third time in 1998. 14 hours, 50 minutes, 22 seconds - Time of Smokies ranger David Worth's 2011 record-setting run of the AT's 72 miles through the Great Smoky Mountains National Park. 46 days, 11 hours, 10 minutes - Women's overall speed record for hiking (supported) the AT, set in the summer of 2011 by Jennifer Pharr Davis. 80 days, 13 hours, 11 minutes - Women's record for hiking the AT (unsupported), set in 2001 by Elizabeth Thomas.